The definition could also describe other forms of advertising or marketing, but pay close attention to the “valuable” adjective here. Content marketing focuses on relaying information that engages people; ideally to as many of your target audience as possible. Content Marketing uses blogs, podcasts, video, and social media sites as vehicles to attract customers. EFFECTIVE content marketing harnesses all the persuasive power of the best copywriting, as well. Keep this in mind: There’s a huge audience out there for almost every topic under the sun. But there’s an equal amount of companies and brands competing for them. An integrated marketing strategy must include content marketing if you want to portray your business as a thought leader and innovator. It defines and strengthens your brand, and creates more opportunities for you to be found through search marketing and social media strategies. Content marketing connects with and builds communities and relationships (know, like, and trust), and directly impacts your website’s search engine rankings and traffic. Customers know they have a need, but now they are made award that there is a solution to satisfy that need. Customers who are aware there is a solution then research to get more information. This is where customers start comparing the different providers that they have discovered in researching the solution. Once the customer finds what they believe to be the best option (quality, price, reputation, features, etc.) they makes their decision and moves forward with the transaction. Steps 3 and 4 can be accomplished with traditional advertising and marketing. Content marketing is key to accomplishing the first two steps of the buying process by raising awareness of solutions and educating consumers about a product they may have never considered before. Blog posts that are relevant to your business and provide interesting information are great for content marketing. Audio/Video. These are extremely popular in engaging users. They can be included in blogs, social media posts, or on your website pages. These are generally long, vertical graphics that include statistics, charts, graphs, and other information. A picture is worth a thousand words, and interesting and relevant infographics can be great to attract consumers. E-books, Webinars, Case Studies, White Papers, e-Newsletters. These are great ways to share information and interesting ideas that can be a source for gathering potential clients. 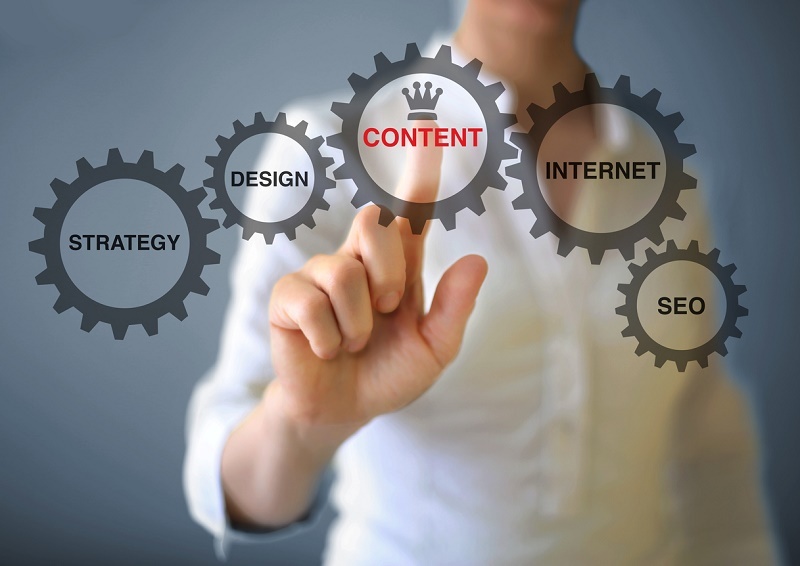 Contact us for Content Marketing Services! At St. Louis SEO for Growth, we build content-driven websites that get you leads and will help you get found in search engines.